Reason's Locker has been a family-owned business for over 70 years. 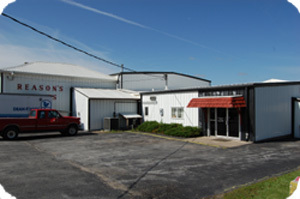 We offer custom processing of beef, pork, buffalo, sheep, and also deer. Customers travel many miles for our summer sausage and other smoked products. Our retail business includes beef, buffalo, pork, seafood, and exotic game. We also have Reason's Prairie Creek Market & Deli in Buffalo Praire and College Avenue Deli in Aledo. Our deli offers fresh, made-to-order sub sandwiches, soup of the day, salads, pie, cookies, etc., along with a large meat case filled with items made at the locker. Catering is another service we provide. We can deliver to large or small parties, or have food prepared to be picked up by the customer.